Made this one for my Niece. That is fantastic! Love it. You create the design yourself? No. Used different elements from patterns out of Leather Crafters and Saddlers Journal, along with some of Jim Linnell's patterns. Looks great Colman! 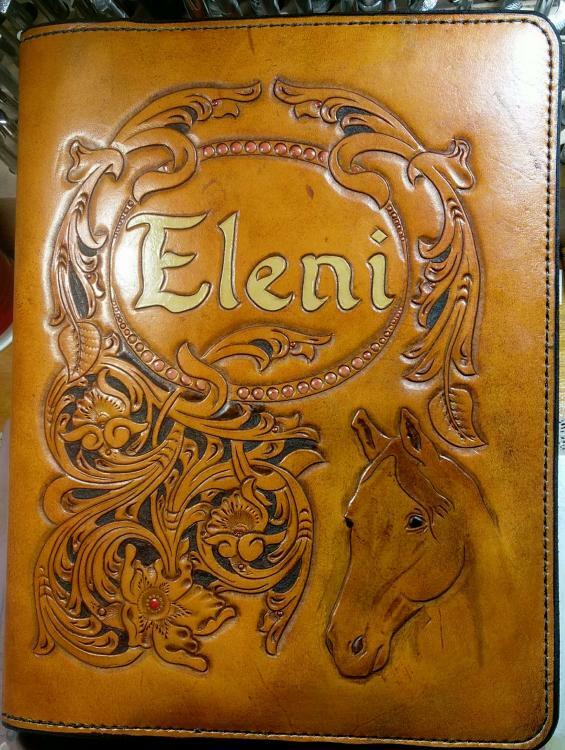 Please tell us type of leather, thread, finish, etc. Nice! I think she'll love it.